Amber Kinetics, the flywheel energy storage startup, has landed a project with Hawaiian Electric, a utility that’s looking for all kinds of distributed energy resources to make solar and wind an integral part of its grid. It’s the first project outside of California for the Union City, Calif.-based company, albeit a small one -- a single Gen2 Model 25 steel flywheel system at the Campbell generating station, one of the two big power plants that keep Oahu’s grid energized. 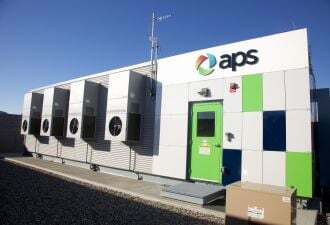 Hawaiian Electric will be testing the 25-kilowatt-hour unit to evaluate how it stands up against a long list of energy storage projects it has underway. These range from utility-scale batteries, to distributed projects, like Stem’s megawatt of behind-the-meter batteries in commercial buildings, or the grid-responsive water heaters being installed in homes across the island. Amber Kinetics burst onto the scene late last year with a 20-megawatt, 80-megawatt-hour contract with Pacific Gas & Electric, but it’s been developing its technology for years now. That work has included testing in the Bay Area, as well as in Hawaii, where it’s been a partner of the state’s Energy Excelerator greentech incubator since 2013. The startup’s main claim to fame is its multi-hour energy storage duration -- a rarity for a technology better known for delivering huge bursts of power over short timeframes. That’s mainly because spinning heavy disks or cylinders can pack a lot of punch, but tend to lose long-term storage potential through friction. We’ve seen a handful of utility-scale flywheel projects built, such as the Beacon Power 20-megawatt installation in upstate New York. 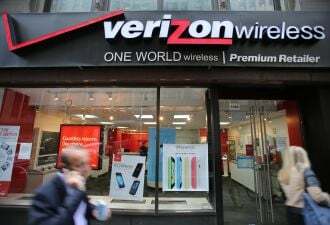 But they’ve exclusively been used for fast-responding, short-duration grid services, like frequency regulation. 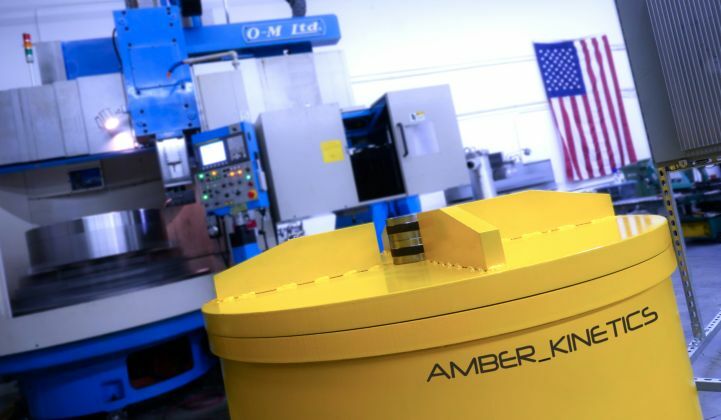 Amber Kinetics says it has surmounted the barriers to long-lasting kinetic energy storage, with a combination of better design, more homogeneous steel disks to reduce friction, and the latest super-efficient electric motors and power electronics. The units can “support unlimited cycling with zero capacity loss over a 20-year-plus service life,” according to the company. 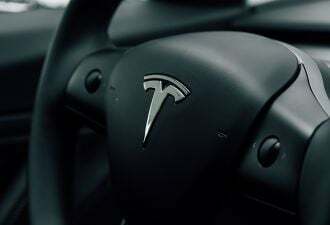 That puts its technology into the running against electrochemical batteries like lithium-ion or metal-oxide flow batteries for a broader set of utility needs. In the case of its PG&E project, Amber Kinetics is expected to supply up to 4 hours of energy per day during times when the system is facing peak demand for electricity. Hawaiian Electric hasn’t specified just how it plans to test its new flywheel, but it certainly has a need for energy storage to help it manage its growing share of solar and wind power. Nearly one in 10 homes on Oahu have solar panels, and large-scale wind farms are being built with batteries to help integrate their on-again, off-again energy into the grid. Hawaiian Electric also announced last week that it’s installing its first utility-scale (1-megawatt) lithium-ion battery system on Oahu, at the same site where it’s testing the Amber Kinetics flywheel, giving it the opportunity to put two different technologies to the test. Amber Kinetics has raised about $25 million from early-stage investors and an undisclosed family office. Its technology derives from work by founder Seth Sanders, who merged his company, Berkeley Energy Science Corp., with Amber Kinetics in 2013. The startup licensed technology from Lawrence Livermore National Laboratory and University of California at Berkeley for its current generation of flywheels.